While I was shooting video yesterday at the Newtown’s Labor Day parade I spotted this picture in front of the reviewing stand. 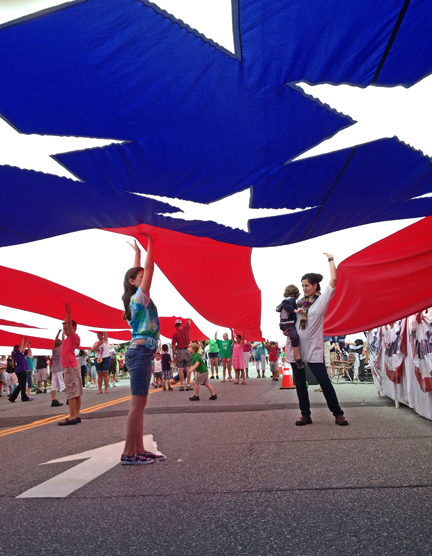 They had brought out a 90 foot x 45 foot American Flag and unfurled it with the help of spectators in the crowd. While about 50 of them held it up, and the National Anthem played, several people went under the flag to help keep it from hitting the ground. A unique piece of Americana, in downtown Newtown.